Hair dye contains many harmful chemicals and can really damage your hair. However, studies show that 65% of women will dye their hair anyways. Instead of using toxic hair products, try these natural hair dye recipes! Hair dye is harmful, but just how harmful is it? Recent studies show that hair dye products can be linked to many different types of cancers! Modern hair dyes are classified as permanent (or oxidative), semipermanent, and temporary. Permanent hair dyes, which make up about 80% of currently marketed products, consist of colorless dye “intermediates” (chemicals called aromatic amines) and dye “couplers.” In the presence of hydrogen peroxide, the intermediates and couplers react with one another to form pigment molecules. Darker colors are formed by using higher concentrations of intermediates. Semi-permanent and temporary hair dyes are non oxidative, and include colored compounds that stain hair directly. Instead of using those toxic man made hair dyes, use these natural ingredients. They provide many different positive benefits to your hair, and they also have no negative side effects! You can use a lot of natural ingredients—some of which we can find in our kitchens—to create new hair color. It depends on what color you’re looking for, how intense you want it, and how much time you want to spend. Here are some natural ingredients that you can use to dye your hair. Coffee – Coffee works great if you’re looking to go darker, cover gray hairs, or add dimension to dark tresses. Simply brew a strong coffee (espresso works well), let it cool, and then mix one cup with a couple cups of leave-in conditioner and 2 tablespoons of coffee grounds. Tea – tea is an excellent alternative to hair dyes. It also contains ingredients that make your hair look healthy, and voluminous. Like coffee, black tea can help you go darker, and can also help cover gray hairs. If you have lighter hair, though, there are other types of tea you can use. Chamomile, for example, is recommended for blondes, while rooibos may work for redheads. Beet and Carrot Juice – These two juices can add natural red tints to your current color. Depending on what shade you want, you can use each alone, or mix them together. For a more reddish tinge, use more beet juice (strawberry blonde, deeper red, or auburn). Carrot will produce a quieter reddish orange. 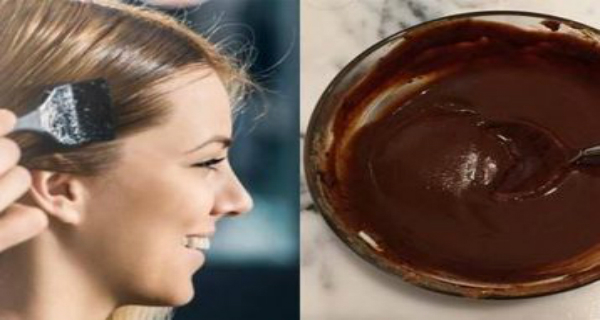 Simply apply about a cup of the juice to your hair. You can also mix in some coconut oil to condition hair at the same time. Work it through, wrap hair, and leave on for at least an hour. (These juices stain—wear something to protect your skin and clothes.) Rinse the juice out, and seal with an apple cider vinegar spray. Henna – Natural henna, on its own, creates a red-orange color, so if you see products offering other colors produced with henna, realize the manufacturers have mixed the henna with other ingredients to achieve those colors. Redheads and brunettes (looking for a bit of auburn) are the best candidates for henna hair color. Be careful with this one—the results can be more orange than you’d like, so you may want to mix a little chamomile in with the paste to tame the color.